casting and community relations with the film industry. government and business partnerships as a high profile liaison. where she worked her way from production assistant to line producer. 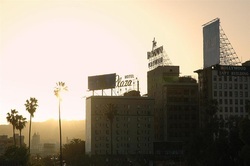 In 1988, Jody began location scouting and management in Los Angeles. Frankie and Johnny, Rising Sun, and A Few Good Men. New York, Utah, Oklahoma, Ohio, Missouri, Texas and California. who fight unsustainable energy development in Arizona. from the International Documentary Association. to improve the mutual benefits of filming, neighborhoods and business. The project received recommendation from the California Film Commission. The Future of Filming in Downtown Los Angeles. on the Mississsippi Gulf Coast after Hurricane Katrina. and handled such assignments for The Fast and the Furious, and Billy Friedkin's The Hunted. Warner Brothers, ABC and NBC Television. 304 projects in Chinatown for commercials, still photography, music videos, TV series, features and new media. between the film industry and the real world.